Info about using the new site. 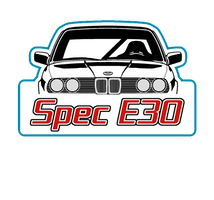 A place to ask questions and get answers about preparing a car for the SpecE30 series. Move to the front by improving the loose nut behind the wheel. Questions and discussion go here. These forums are for discussions specific to a region of the country. The top 10 times at each track we race at. A place to buy and sell items related to Spec E30. Please update your thread once your item has sold. Threads that haven’t been touched in 6 months will be deleted.